6 Great Reasons To Call Us Today! We Will Turn Up On Time. Do Not Pay Too Much For Painting Services In Sydney! If you are looking for affordable, professional and reliable Painter you've come to the right place. You don't have to face expensive bills, when you deal with us. Simply call us today and we will arrange the most affordable and acceptable solution together.Mates Rates Apply. Yes we provide Commercial Painting too. If you have small or big project it does not matter. We have experience, great stuff and right tools to finish any Sydney commercial painting project in timely manner to your satisfaction. So don't delay and contact us today. Need Whole House Painted Or Just One Room? 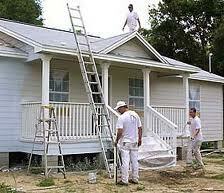 If you're looking for someone to paint your house inside or outside.Call us!. Not only because we will give you a great price, but we will also provide Free colour consultation service for you. We will discuss best paint colours to suit your house internally and externally and as always we will treat you with respect and understanding. Whether you're building a new home, renovating or repairing, whatever your project may be, painting will be one of the essential tasks. Paint is both decorative and protective of the surface that it is applied to. Putting the correct application of paint aside just for the moment…paint is decorative. There are literally 1000's of different hues, tints, shades and tones of colour to choose from. All colours will achieve a different look and feel and can even evoke different emotions. 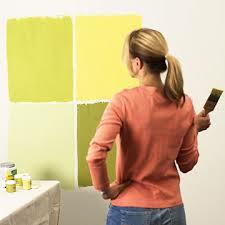 Getting right color for your house painting is vital. Warm colours such as yellow, orange and red are neighbors on the colour wheel and are associated with feeling of joy, optimism and energy. Hunger is also associated with warm colours, which is why food outlets predominantly use warm colours. Think of the branding colours of the leading fast food chain stores. Red the most vibrant and extreme of the warm colours and is associated with danger, anger and love, all very powerful emotions. Red on its own can be overwhelming and overuse in a room can even increase your heart rate but red can be the perfect accent colour to compliment another main colour in a room. Orange is a lively and happy colour. Likes it's fellow warm colours, orange draws attention but is a little more inviting and friendly. Orange is another colour that is used to make statement. Yellow is the most energetic colour from the warm colours with the associated feelings being laughter and optimism. Like its warm coloured neighbours too much yellow can be overwhelming and is used to grab attention. On the other side of the colour wheel is the cool colours. Cool colours such as blues and greens are usually the more soothing and calming colours but can also be associated with sadness. Purple is also considered a cool colour but as it is a combination of red (warm) and blue (cool) the effect of this colour is creativity. Green is a dominant colour in nature so the associations green is health & growth. Green is the easy on the eyes is used to relax and calm. Blue is another dominant colour in nature and is also associated with calmness, freedom, security and trust. It is also associated with cold. In addition to purple evoking creativity it is also a colour that represent royalty, wealth and romance. The psychology of colour is something to consider when picking colours for your home or business. Having the desired effect in mind is key to start your colour choice journey. 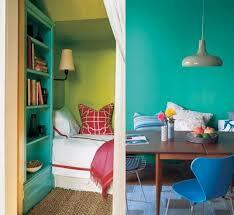 Colour can make or break the final look so ask a colour consultant if you are not 100% sure of your colour choice. Once you have made your colour choice, the next step is ensuring that the paint is applied correctly for a beautiful, flawless finish, longevity and protective purposes. Correct application of your paint will not only guarantee that you get the desired finish but it will also ensure the painted surface is shielded from the elements. Even the Space Shuttle is painted for protective purposes! Paint technology has come a long way and there is now a finish for every type of effect, surface and protective need. However, this is an area where professional guidance is best sort. If the incorrect finish is applied, it can reduce the life span of your surface instead of prolonging it. Paint is made up of pigment (colour), binder and solvent. Mixing just the pigment and binder results in a honey type consistency so a solvent it needed. The solvent can be water or oil based. Cheaper paints tend to have a more course grade of pigment and more solvent so the end result is that the colour is not as even and you will need two or even three coats of paint instead of one. In addition to the three ingredients mentioned above, paint can also have other additives for various purposes such as water or rust proofing, ceramic substances for durability, fluorescent additives to make it glow in the dark or additives for protection against weather, mold or mildew. The paint with additives is also available at a varied price range, so again, talk to a professional to get some advice on your paint project. Bristle Type:There are two basic types - natural or synthetic brushes. The natural brushes are made from animal hair and are used for applying oil based paints. Synthetic brushes are better suited for the water-based paints. Using a natural brush with water based paints with absorb the water in the paint making it very difficult to spread. This of course, will affect the end result and your paint efficiency. Brush Size & Shape:The size will be dependent on the area being painted and apart from the obvious big or small brush selection the next consideration is shape. 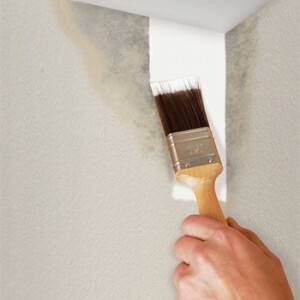 Most paint jobs require different shaped brushes for different areas of the paint area. Sash brushes are cut on an angle allowing more control for cutting in to corners where the square-cut brushes are perfect for holding and applying paint to the surface. Bristle Tips:Flagged (or split) or tipped ends. Flagged bristles hold and spread paint more efficiently where tipped bristles come to a point and would be used on a sash brush where precision is needed but does not hold paint as well. So now the colour combinations, paint & brushes have been selected but before painting can commence there is an even more important stage…preparation! Before any painting can begin, time dedicated to the correct preparation is an absolute must! There is a general misunderstanding that painting is easy. But what should be made clear is that painting only becomes easier once extensive preparation has been completed. 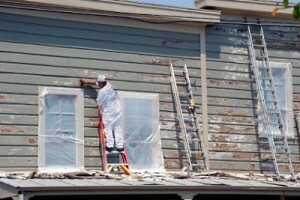 Preparation includes repairs, sanding, priming and undercoating. Missing just one of these preparation steps greatly affects the final outcome. Each of the preparation steps requires different tools and knowledge and a professional painter will have every required tool in their toolboxes along with knowledge of how to use them. Part of the preparation process is the protection of surrounding areas such as walls, floors, coverings, furniture and yourself. 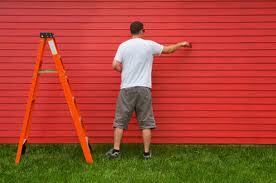 Paint is difficult to remove from anything that it comes into contact with and this includes your body. Professional painters will always have a large amount of drop sheeting to cover surrounding areas and surfaces as well as appropriate protective equipment for themselves. These items can be expensive but again just one of the items in a professional painters tool kits. Excess paint and water used for cleaning brushes should not be disposed of down the sink where it will flow into the water system. This is especially the case for oil-based paints. 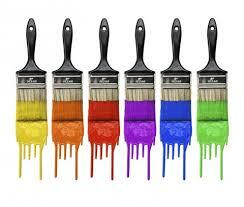 Oil based paint is considered hazardous chemicals and should only be disposed of by a waste management company. Admire the new paint job. Contact us Today to discuss your next painting job, we service all Sydney suburbs.